The first thing any TV is measured on is of course the quality of the picture it delivers. And with its 1920 x 1080 full high Definition LED backlit screen this Digihome TV provides an outstanding picture with bright, vibrant colours and a crisp detailed image. Add in a fast response rate and high contrast ration the TV is ideal for the main living space in the family home. To back up the HD display Digihome have not stinted on sound reproduction. With stereo 8W RMS speakers the audio is terrific and will fill the room when watching movies or listening to music. 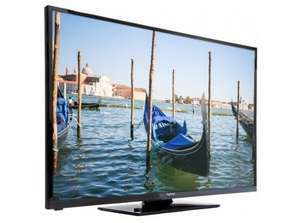 In today's multimedia and multi-gadget world the family TV isn't just used for receiving television channels anymore. It needs to be able to receive content from all the different gadgets and devices we use nowadays such as laptops, tablets and smartphones. This Digihome TV has all the connectivity you need with Two HDMI ports, One USB ports and the usual SCART and VGA connectors so you can connect multiple devices when necessary. It's easy to watch different channels on this set as it comes preloaded with Freeview. Over fifty TV channels and more than twenty radio stations are all ready to be viewed. With no additional subscription costs to pay. An "open box" product, customer return or ex display. Personally would not chance an ex display but overall a decent price and heat added. digihome. Digyee get an extended warranty? I could be wrong but it looks like a rebadged Finlux 39FPD274B-T?